David Powers King: Guest Post: Novel vs. Series with L. Blankenship! 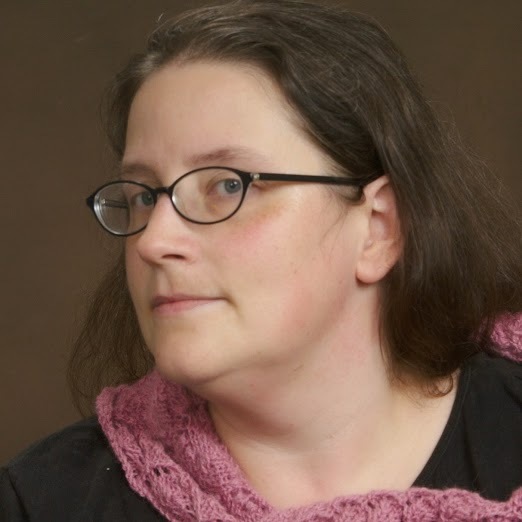 Guest Post: Novel vs. Series with L. Blankenship! Hey guys! I'm still chest-deep in editing mode and taking a break at today at Sia Mckye Over Coffee, so I'm going to step off the bridge for a week and hand the controls over to L. Blankenship (to your left), author of the Disciple series. Her 6th and final installment is now available (see the links below to learn more about this fantasy series). L. will navigate the difference between a standalone novel and a series for us, and she's promised not to steer us into any quasars. Our insurance doesn't cover quasars. Don't get me started on my deductible for black holes ... Why am I still talking? Until next time, the bridge is yours, L. Blankenship! Take it away. We’ve all seen plot diagrams like this one in basic writing classes. This is how novels are generally structured -- there’s plenty of flexibility, of course, to customize this to your individual story. I recently published the last of my six-part gritty fantasy romance series, Disciple, and you can find this structure in each of the six volumes. But since the series is a larger story overall, you can also see this structure spread over the six parts. Individual adventures. Each novel is a self-contained story. Maybe there are some two-volume stories within the series, maybe there are multiple writers involved, maybe the cast of characters changes… but each novel is independent and contains its own plot structure. Examples of this include the Dragonriders of Pern series and Conan the Barbarian. One over-arching story. This is a common form in the fantasy genre -- Lord of the Rings, Harry Potter, GRRM’s ASOIAF, etc. The series of novels is, itself, one massive story into which the plot structures of the individual novels are integrated. While each volume contains plot points, a climax, and resolution, these fit into the rising tension of the entire series. Using the chart above, something like this. My series Disciple has six parts, so I marked its progress in green. Each part has its own rising action, climax, and resolution, but also contributes to the rising action of the entire series. Well, a series is a lot of work any way you cut it. I am mostly a plotter (as opposed to a pantser) so I had an idea of what the end of the story would be when I started writing Part I… but not as much as you might think. The ending changed in the process of writing Disciple. I checked on it several times along the way to make sure it was still logical, attainable (with difficulty), and most importantly an exciting, fun, and generally awesome sequence worthy of all the work I’d put into getting there. Even so, there were major questions still in the air when I finished Disciple, Part V and started planning the big finale. It’s not something I would undertake lightly or with no clue where the story was going. The roots of the ending stretch all the way back to the beginning. You can fix anything in revision -- and I fixed a lot in revising Disciple, believe me -- but its easier to not paint yourself into a corner if you have some sort of plan. Download Disciple, Part I for free! on sale March 15, 2015! Yep, there's definitely a lot more to think about than with a standalone. Although I think looking at it as one very long novel might help, with very long chapters or "episodes". Great diagrams! Sic books in a series is a massive undertaking. I'm not sure I could keep the thread going for that many books. Ah, the series story arc. I'm struggling with that now. My complication is that I was contracted for 3 books, with an option for 2 more. So I had to write a third book that could complete the series if necessary. But now I have to write a proposal for two more books that would keep climbing that rising action trend toward a climax ... even though Book 3 seemed like it had a climax for the series already ... Fun, fun, fun! Whoa… I can't imagine finishing an installment for a SIX BOOK SERIES… that's insane!!!! Now I really want to read L's work… especially since I won't have to wait for future books in the series to come out! Wow, I really enjoyed this, especially the way you describe the charts L. It makes sense, and scares me to death to think of trying to accomplish this, and over six books! Wow. You rock. Thanks for giving DPK a break today, and for sharing with us! That's awesome! What a great breakdown. I know I couldn't write six books with the same plot. Three was as far as I could go and I know I lost it in the last one. Very good explanation! I used to look at the story arc and cry, but lately it helps me decide what areas need more scenes. It helps cut the meander and structure the plot. This is seriously awesome. I didn't take formal creative writing classes in college and learned everything I knew today the hard, excruciating way. But I quite enjoyed this! Sounds like a cool series. I used to be a plotter, but am a solid panster now and I find it allows we to play with the reader's expectations as far as where the plot should go while still keeping up the tension. I wrote my first books as one story, then broke them up into three as the story just kept writing itself. The page count alone demanded I do this. I meant to only write one book, but hey, trilogies happen.